Zombies, Run! 5k Training update now available for Android – Zombies, Run! A quick note to let you guys know that we’ve now released an update for Zombies, Run! 5k Training on Android. This version fixes a few issues and UI problems that we’ve been receiving feedback about recently. All workouts are now available from the start. Various problems that could cause the app to crash have been fixed. In response to player feedback, we’ve increased the volume of workout instructions. Synchronisation with ZombieLink is now automatic. We fixed a bug that caused workouts to run significantly slower on some devices. Improved workout timings and instructions. There is also an update for Zombies, Run! 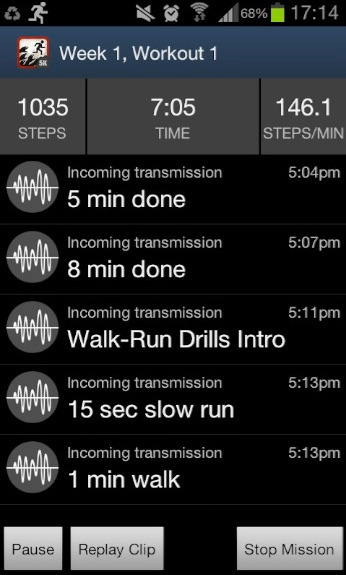 5k Training for iOS in the works which will have similar improvements. We’re hoping to have this available soon. We’ll have more information on that once it’s released. Don’t forget to take part in our survey if you haven’t yet. Just follow this link and let us know what you think of Zombies, Run! Previous Post Tell us your Zombies, Run! Story!